This episode provides a solution to growing our own technicians. Dwayne Myers from multi-location Dynamic Automotive in Fredrick, MD shares his apprentice program. Also, the Secretary of Labor from the great state of Maryland, Kelly Schulz, explains how the state was instrumental in Dynamic’s apprentice program and how she is using the influence of Maryland’s Labor department to embrace college training and ... See More apprentice programs for skilled trades. You’ll be glad you listened because there are real solutions here that will help you grow your own talent. 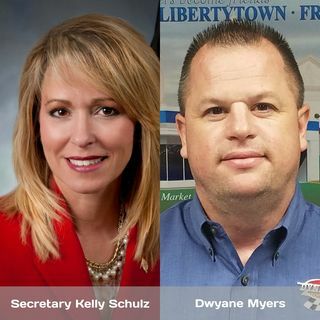 This episode is going to demonstrate how Dwayne Myers worked with and partnered with his state’s Department of Labor and Secretary Kelly Schulz. Secretary Schulz explains the program and the positive outcomes it has been producing. Dwayne explains how he embraced the state's programs and integrated it into his training culture.